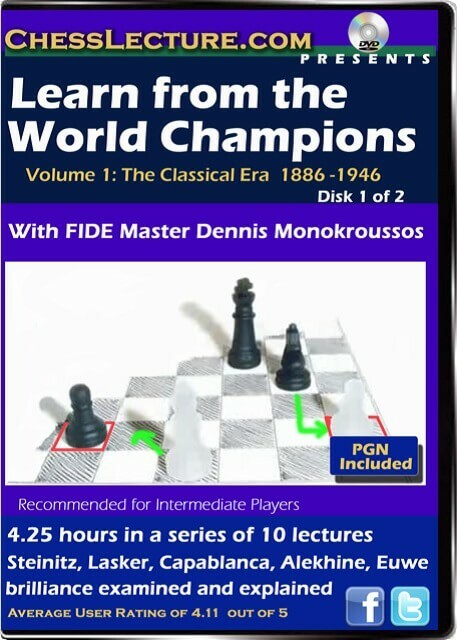 Content: Over 4.25 hours of instruction and analysis in a series of 10 lectures. ECO: C65, C46, C65, C67, C74, D30, D64, E28, E61 PGN Files included. 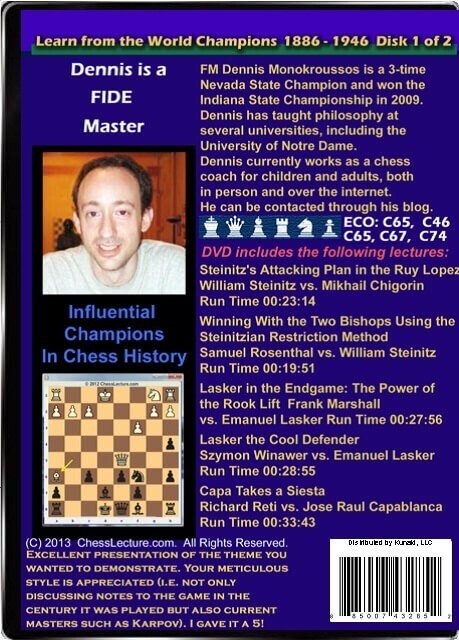 Fans on Chesslecture.com said: Excellent presentation of the theme you wanted to demonstrate. Your meticulous style is appreciated (i.e. not only discussing notes to the game in the century it was played but also current masters such as Karpov). I gave it a 5!